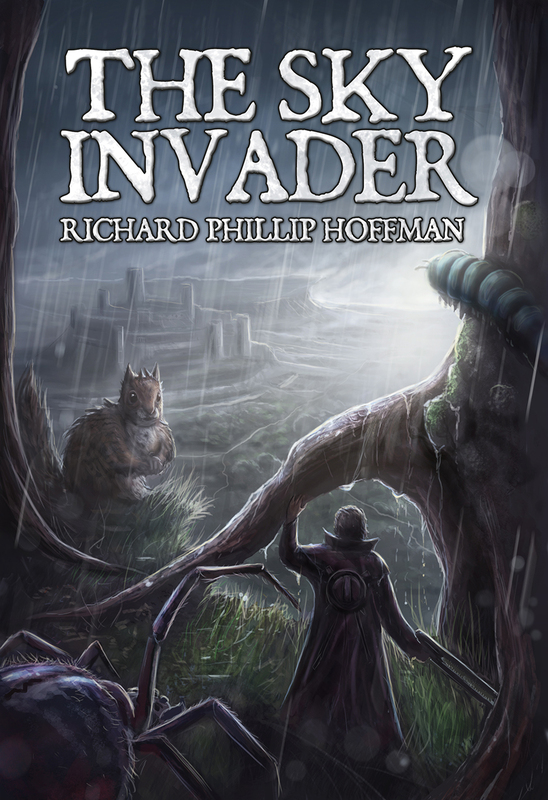 I recently had the pleasure of working with Richard Phillip Hoffman, on his cover The Sky Invader. 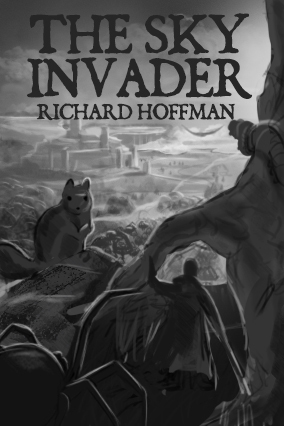 A fantasy book with science ficition elements, our hero find himself in a giant world atop a floating island. It was a real pleasure working with Richard. I enjoyed ‘soaking everything’ in the image and looking at lots of tree references with their shiny wet bark. Also looking up things like ‘wet squirrel’ is something my search engine hasn’t experienced before!